Hot, dense, and blue: the white dwarf Giclas 29-38. Credit: Sloan Digital Sky Survey. Just as you don't expect snow while hiking through a hot desert, astronomers never thought they would find hydrogen molecules on stars that have surfaces twice as hot as the Sun. But that’s just what researchers in the United States and Germany have spotted on several white dwarf stars. The surprising discovery should help astronomers gain a better understanding of the extreme conditions on these stars—and may even lead to the first detection of the isotope deuterium in planetary systems beyond our solar system. Although hydrogen is the most abundant molecule in space, it typically forms at frigid temperatures, in dark interstellar clouds just a few degrees above absolute zero. Now, however, astronomers have accidentally detected molecular hydrogen on three white dwarfs, which are dense stars with huge gravitational forces. The team believes that these extreme forces are causing the molecules to form despite the heat. A white dwarf is a dying star that's roughly as massive as the Sun but as small as the Earth, so the gravity on its surface is immense—an ounce on our planet would weigh tons on a white dwarf. Exotic though they are, white dwarfs are common, making up 5 percent of all stars, and the nearest is just 8.6 light-years away, orbiting the bright star Sirius. Our Sun will become a white dwarf in 7.8 billion years. In a typical white dwarf, the extreme gravity drags heavy elements beneath the surface where they can’t be seen. As a result, astronomers detect only hydrogen or helium atoms on the surface of a white dwarf by observing their signature absorption lines in the star's spectrum. In some cases, though, asteroids have recently struck the star, temporarily polluting its surface with heavier elements that can be observed. Siyi Xu, a graduate student at the University of California, Los Angeles, was using the Hubble Space Telescope's high-resolution Cosmic Origins Spectrograph to obtain the ultraviolet spectra of six polluted white dwarfs. "Two stars were really weird," she says. "After we got the data, we were like, 'What are these lines?' We were just completely lost." For about six months, the astronomers struggled to explain the odd spectral lines. The team first suspected trouble with Hubble, but other stars didn't show the same strange lines. Nor did the lines' wavelengths match those from any atoms. Then Xu's advisor, Michael Jura, suggested she examine the Sun's ultraviolet spectrum, where she found several lines from molecular hydrogen that matched those in the stars' spectra. Says Xu, "I'm like, 'Really? Molecular hydrogen? At that high a temperature?'" The two white dwarfs—Giclas 29-38 in the constellation Pisces and GD 133 in Leo—have surface temperatures of 11,820 Kelvin and 12,120 Kelvin, respectively, much hotter than the Sun, whose surface is 5,780 Kelvin. 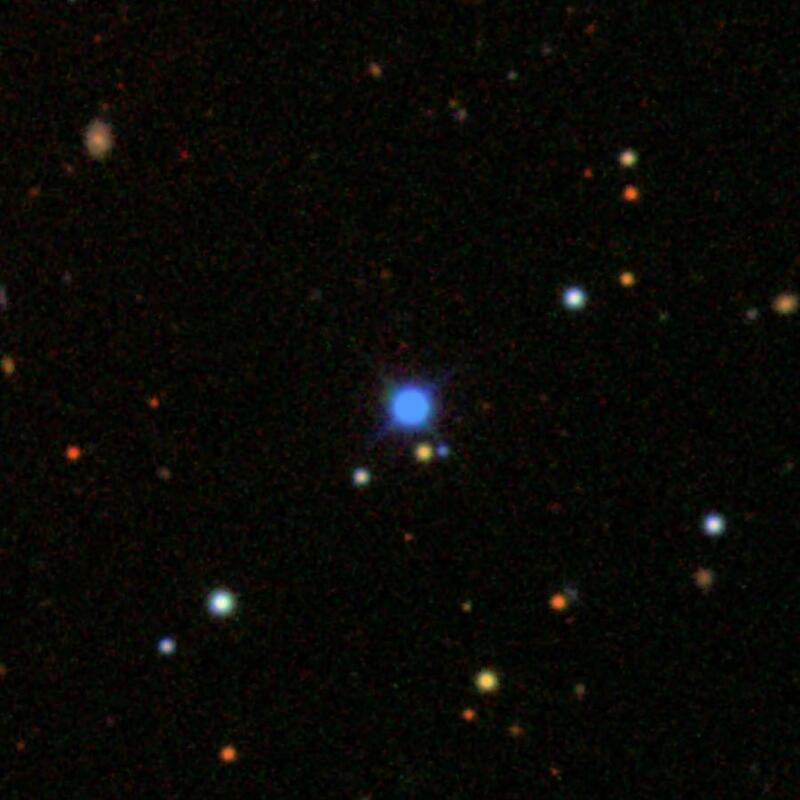 The team—which also includes an astronomer at the University of Kiel—then noticed molecular hydrogen on a white dwarf named GD 31 that others had observed. Located in the constellation Cetus, it's even hotter: 13,700 Kelvin. "This surprises the hell out of me," says white-dwarf expert Jay Holberg of the University of Arizona in Tucson, who wrote a book about Sirius and its white dwarf companion but was not involved with the new work. "Hydrogen dissociates—that is, the molecule comes apart—quite readily. I would have thought that you wouldn't get an observable amount of molecular hydrogen." Holberg calls its discovery "impressive". Prior to this find, the hottest star known to have molecular hydrogen was our own, where sunspots, which are cooler than the solar surface, harbor the molecule. But the great gravity and density on white dwarfs produce intense pressure that forces some of the hydrogen atoms to join. From the strength of the spectral lines, the astronomers estimate there is about one hydrogen molecule for every 100,000 atoms. The discovery may lead to another: the first detection of deuterium in other solar systems. "We could have an additional tool for understanding the history and evolution and formation of extrasolar planets," says Jura. Unlike ordinary hydrogen, whose nucleus has a proton and nothing more, deuterium has both a proton and a neutron, so it weighs twice as much. The big bang produced the isotope, but nuclear reactions in stars annihilate it; therefore, the white dwarfs have destroyed all their original deuterium. However, asteroids crashing into these stars probably still bear deuterium. Astronomers can't detect atomic deuterium on white dwarfs, because the hydrogen lines overwhelm them, but if white dwarfs also have molecules that include deuterium atoms, observers may see them, because the spectral lines lie away from those of molecules comprising ordinary hydrogen. Terrestrial water is ten times richer in deuterium relative to hydrogen than the interstellar clouds giving birth to solar systems. "It would be quite interesting to know if other planetary systems have the same enhancement of deuterium," says Jura. The astronomers will report their discovery in the April 1, 2013, issue of The Astrophysical Journal Letters. Ken Croswell is an astronomer and the author of The Lives of Stars, which includes a chapter about white dwarfs.